The Commission on the Status of Women (CSW) is one of the biggest events on the ISJC calendar, as we see about 100 events take place in our building in New York and host several delegates from across the Salvation Army world. 2019 marks the 63rd session. Here we will post regular updates on the goings-on at CSW, regular reports, pictures, videos and other content. We will also be posting much of this on social media and urge you to follow us to see the latest. 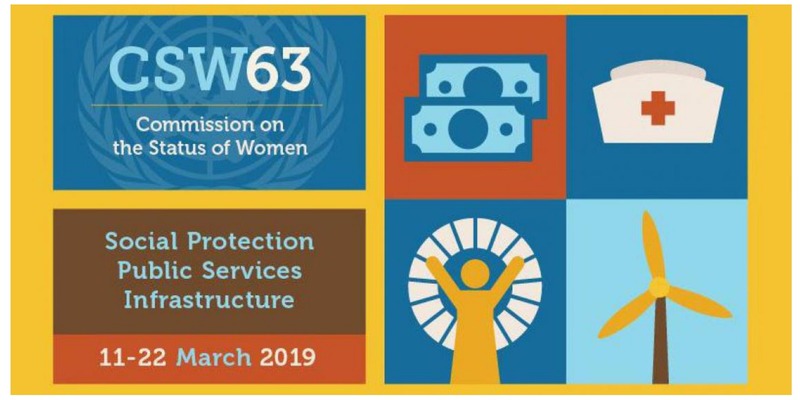 The Commission on the Status of Women is a global policy-making body and a part of the United Nation's Economic and Social Council. It is dedicated exclusively to promoting gender equality and the empowerment of women. The Commission was established in 1946 with a mandate to prepare recommendations on promoting women’s rights in political, economic, civil, social and educational fields. Every year, representatives of Member States, United Nations entities and non-governmental organizations in consultative status with ECOSOC gather at United Nations Headquarters in New York for the Commission’s annual session. The session provides an opportunity to review progress towards gender equality and the empowerment of women, identify challenges, set global standards and norms and formulate policies to promote gender equality and women’s empowerment worldwide. The session is also a key opportunity for policy makers, advocates, researchers and activists to network and strategize, mobilize and plan new initiatives and actions to further the cause of gender equality and women’s empowerment.